CANbus Pressure/Temperature Transmitter From PMC Engineering | TALON Technical Sales, Inc.
CAN (Controller Area Network) is a serial bus system, initially developed to be used in automobile sensor systems. This system allowed simplified installation, using fewer wires and digital information transmission. More complex interactive control systems could now be operated. Additionally the individual function of the se nsors in the system could be monitored and adjusted. Monitoring systems become more fault tolerant. Now it is used in nearly all fields, Industrial, medical, Oil and Gas, or municipal. CAN was developed by BOSCH, but now the CAN protocol is standardized by the ISO. CAN is also open to modification to meet specific applications needs for inputs or control plans. CANbus is a signal output format. The outputs are in digital unit formats called bits. PMC Engineering’s 16 bit, 1,000 PSI pressure/temperature transmitter is an affordable and innovative pressure solution ready to meet your application needs. 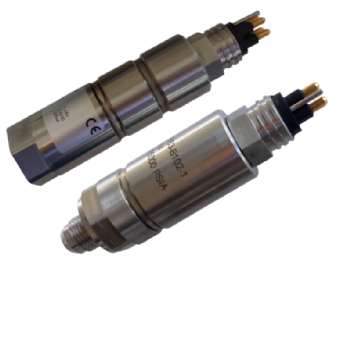 Click here to see their subsea and precision pressure and pressure and temperature transmitters.